31 backers pledged $7,500 to help bring this project to life. 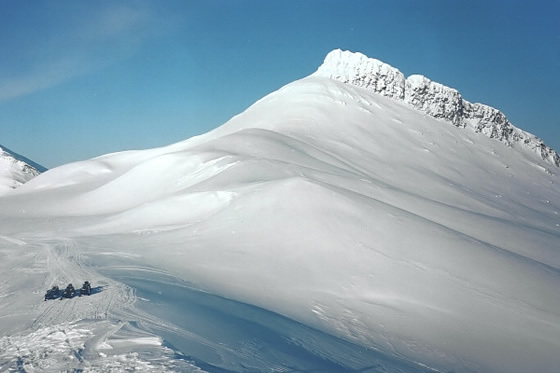 Later this year, I will join a small group of artists, architects, and scientists as a participant in The Arctic Circle residency (http://thearcticcircle.org), which takes place in the International Territory of Svalbard. 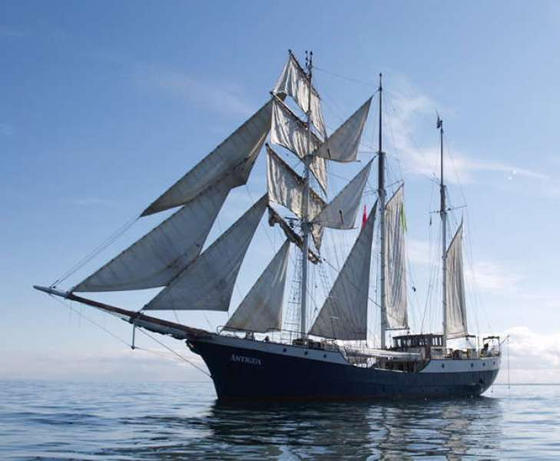 For approximately three weeks, we will sail along the coast of Svalbard as passengers of Antigua, a tall ship specially equipped for Arctic expeditions. In addition to exploring the landscape, we will also visit important cultural sites such as Longyearbyen, the capital; Ny-Ålesund, a scientific research station; and Pyramiden, an abandoned Russian coal mining settlement. See this article in the New York Times for insight into what the experience is like. Svalbard is a place with a rich and complex past. 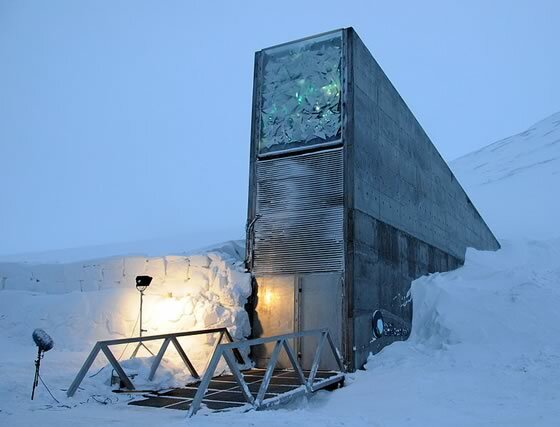 It is perhaps most well-known as the home of the Global Seed Vault (also called the "Doomsday Vault"). It is also a center for mining enterprises and scientific research. 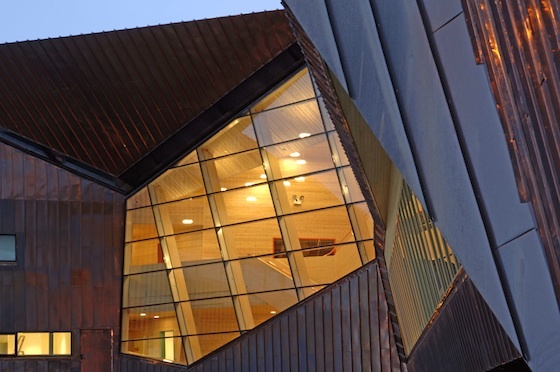 Norwegian architecture firm Jarmund og Vigsnæs has built two interesting pojects in Longyearbyen (the Administration Building for the Governor of Svalbard and the Svalbard Science Center), which both demonstrate how dramatically the climate affects buildings designed for this latitude. Svalbard Science Center by Jarmund/Vigsnæs Architects. Credit: Nils Petter Dale (nispe@mac.com). Despite a prevailing cultural image of the Arctic as a pristine landscape, Svalbard has a long history of resource exploitation. Whaling began around 1612 and whaling stations are the oldest existing evidence of human influence on the islands . The Greenland Right Whale was hunted to the brink of extinction by the year 1800 and is rarely seen today . Polar bears, seals, walruses, and arctic foxes were all hunted, with some hunters killing over 100 polar bears in one year . Minerals such as copper, iron, zinc, and asbestos have been mined by different nations, which can freely lay claim to resource deposits as a result of the unique multi-national treaty that controls access to Svalbard . But it took the discovery of large coal deposits to sustain permanent settlements. 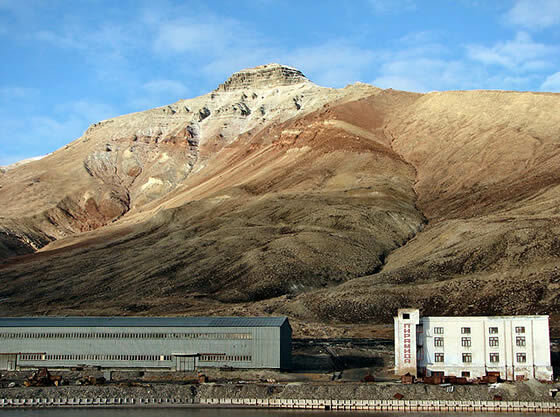 Coal mining began at Isfjorden in 1899, and coal is still actively mined on Svalbard , with the controversial Lunckefjell mine scheduled to open in 2013. With non-renewable energy sources in other parts of the world running dry, some northern nations are also laying claim to seafloor deposits of oil and gas that will become increasingly accessible as the ice surrounding the North Pole disappears . This intensification of resource extraction in the Far North, with its attendant contributions to climate change, will almost certainly bring increased development to Svalbard. 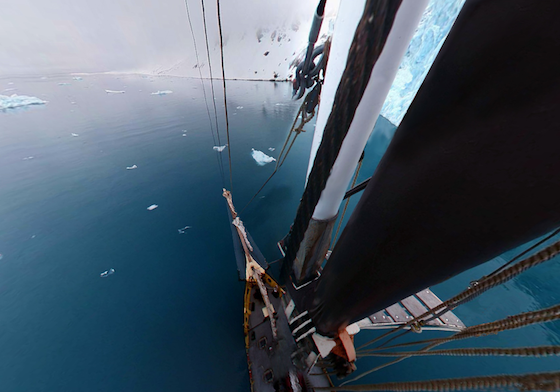 As glaciers retreat, permafrost thaws, and winter becomes shorter, civilization will expand. But while an increased human presence in the archipelago is inevitable, permanent environmental damage is not. It's ironic that climate change will open the Far North to further human settlement, but new building projects in Svalbard could be a model that guides construction in other Arctic areas. Arctic Architecture: Svalbard will explore the inevitability of northward human migration, its impact on the landscape, and the possibility that architecture can accommodate human expansion while minimizing environmental damage. Additional volumes focusing on other Arctic locations are also planned. But your support for this first volume is critical. Pledges up to the $7500 goal will go directly towards the $5800 residency fee and approximately $1700 in airfare and related carbon offsets. Your support is greatly appreciated. Make a pledge to be listed in the book as a donor and receive other rewards such as archival photo prints and copies of the book. Visit http://arcticarchitecture.org and follow my preparation for the expedition on Facebook (http://www.facebook.com/arcticarchitecture). You'll be listed as a donor in the book, and I'll mail you a postcard featuring one of my photos from Svalbard. You'll be listed as a donor in the book, and I'll mail you a postcard featuring one of my photos from Svalbard. You'll also receive a digital copy of the book (PDF format). You'll be listed as a donor in the book. You'll also receive a digital copy of the book (PDF format) and your choice of one of my photos from Svalbard as a 9" x 6" archival print. You'll be listed as a donor in the book. You'll also receive a digital copy of the book (PDF format) and your choice of one of my photos from Svalbard as an 18" x 12" archival print. You'll be listed as a donor in the book. You'll also receive a printed copy of the book, a digital copy of the book (PDF format), and your choice of one of one my photos from Svalbard as an 18" x 12" archival print. You'll be listed as a donor in the book. You'll also receive a printed copy of the book, a digital copy of the book (PDF format), and your choice of two of my photos from Svalbard as 30" x 20" archival prints. You'll be listed as a donor in the book. You'll also receive two printed copies of the book, a digital copy of the book (PDF format), and your choice of four of my photos from Svalbard as 30" x 20" archival prints. You will also receive a handwritten personal letter mailed from Ny-Ålesund, the northernmost post office in the world, during my time in Svalbard.